Thank you, Henry Holt Books for Young Readers! First thing I’ll say, it’s been MONTHS and I’m still obsessed with that cover. Obsessed. That is all. Now, I’m keeping most of my original review from the excerpt, but also adding more thoughts on the rest of the book, because (a) can you believe I was lucky enough to get a partial ARC (first six chapters) and then the full ARC? I still can’t; and (b) I stand by my thoughts at the time and tons of people had already liked the review, so it’s only fair. 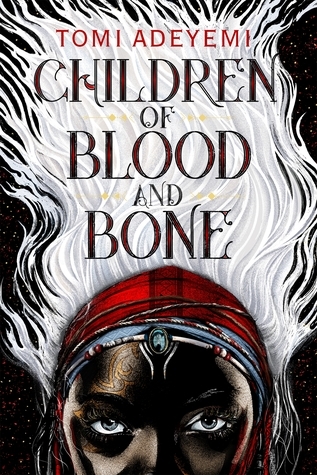 If you’ve been keeping an eye on the YA book world, then you know Children of Blood and Bone will be the next big thing in YA. Tomi Adeyemi’s debut was one of the most talked about stories when it sold (for a LOT of money!!!) last year, and the publisher has been promoting it non-stop since then. Guess what? It’s about damn time the publishing world starts investing in stories like this. 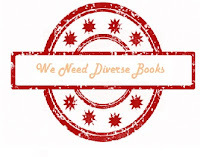 After all, when was the last time you had a chance to read an #ownvoices West African-inspired YA Fantasy with black characters??? I truly hope Children of Blood and Bone’s inevitable and well-deserved success is the start of another time in publishing. A time when diverse voices are heard and paid just as much as white-focused narratives. We’re real people and we deserve attention! It’s time you realize that, publishing world! So, yeah, I’d been fangirling over this book for a long time, and I was honored to get the chance to read it before its official release. After having read the first six chapters, I was even more intrigued and impressed with both female leading characters. Those feelings stuck around for the rest of the book. It took me a few pages to get behind impulsive Zélie, but once I got a better sense of who she was and what she’d lost, then I was in. And, yes, please, gimme more of non-white leading female characters who aren’t just written as this “perfect” person because apparently some people think you can’t be a woman of color and have personality and flaws. Zél had tons of flaws, but she was a warrior. A freaking warrior who fought with magic and her staff and her heart. So much heart. I have to say Zél’s overall development was a bit slow and I felt she didn’t get to the place I wanted her to by the end of this book, but this is just the first title in the trilogy, so I’m willing to oversee that, especially because she did grow, even if it wasn’t as much as I would’ve liked. Now, there was something about Amari that just spoke to me from the moment I met her. I could say it was her worry about Binta, or even the way she seemed to be able to see past her father’s hatred and her mother’s prejudice, but I know it was before that. Amari had me with that little bit of sass that I got from her line about her Mother’s ability to hiss so many critiques in one minute. It was something small, but I loved it. And then, OMG, Amari!!! She was by far the one who had the most fulfilling arc as far as personal growth is concerned. I loved how she went from insecure, but brave princess to “I’m about to be your Queen so you better respect me”. After the excerpt, I was sooo excited with the promise of a friendship between Zél and Amari. I got some of that from the rest of the story, but not as much as I wanted. There was a super special scene toward the end that gave me all the feels, so I’m hoping for more Zél+Amari time in the next books. Okay, so now we get to third POV (yes, the story is told from Zél, Amari and Inan’s POV)… Inan is Amari’s brother and the future King of Orïsha. He’s a guy raised to put duty before himself, the kingdom before his wants and dreams, and he was also the character that took me on an emotional rollercoaster ride. For most of the book, I was rooting for him. I wanted him to understand how his upbringing damaged him and his people; and I was dying for him to free himself from his desire to please his father, because boy, OH, boy that never goes anywhere good--especially when his father was a freaking monster. But, after a while, Inan’s arc felt redundant. He kept going from “I understand” to “Oh, but maybe magic is really, really bad” to “I think I understand now” to….You got the drill. So I ended up rolling my eyes hard at him, and going from liking him to wanting him dead. My feelings for Inan also represent my feelings for the romance subplot. I mean, the minor subplot because this book is about lots of other things, so the romance plays a small part. By the end of the excerpt, I was super, super, super excited because chapter five and six gave me major hints on what was sure to be a hate-to-love romance, AND OMG THAT IS MY FAVORITE ROMANCE TROPE. When Zél's spirit clawed onto Inan's spirit (you’ll understand when you read it), I was confused but ecstatic because I saw a ship ready to sail. And while the ship sailed for most of the book, I felt like Tomi Adeyemi pulled an ACOTAR/ACOMAF on me. I wasn’t unhappy about it, but I also wasn’t happy, because I wish she had at least waited until the next book to bring that on. Having said that, I yelled Rhysand when a second love interest for Zélie showed up, and I'll never be mad when a character reminds me of Rhysand. Not ever! Having said that, I can’t exactly complain because the romance was never meant to be the focus of this story. Not at all. This is an action-focused tale that draws parallels with the real world and the constant fight against racism. It's about prejudice, about POC's constant fight to be treated and seen as equals or at least have enough power to fight against those who want them gone. And it’s brutal at times. So be warned: there’s violence, there’s death and there’s blood. There’s also no time to be bored, because everything happens and it happens fast. Another great aspect of this story is the world Tomi Adeyemi created. It felt fresh and unique. Orïsha is a rich land and the characters explored a lot of it in this book, so readers get to travel and explore its richness alongside Zél, Amari and Inan. As to the author’s writing, I found the style simple, but with a poetic tone to it. My main worry, though, was that the POV’s were identical. Writing first person multi-POV is hard, but the voices were the same. I expected at least Inan’s voice to be a bit different, since he was a boy, but nope. So there was that. That aside, I think Tomi Adeyemi did a good job with her debut, and now that I’ve read it, I can understand some of the hype associated with Children of Blood and Bone. I have no doubt this book will be as huge as everyone expects it to be, and the fact that it ended with a great cliffhanger will only help keep readers eager for the sequel. Now, all I have to say is: GIMME MORE OWNVOICES EPIC YA FANTASY BOOKS, AND DO IT NOW!